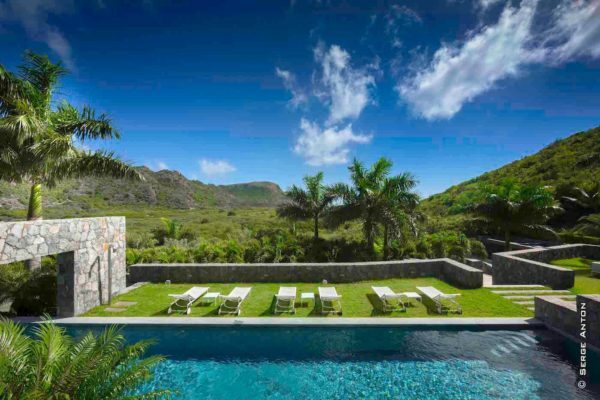 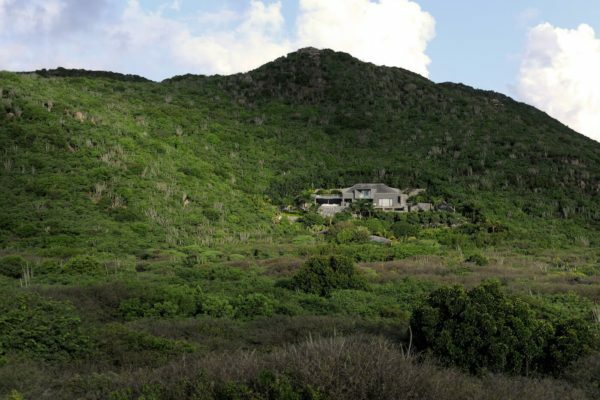 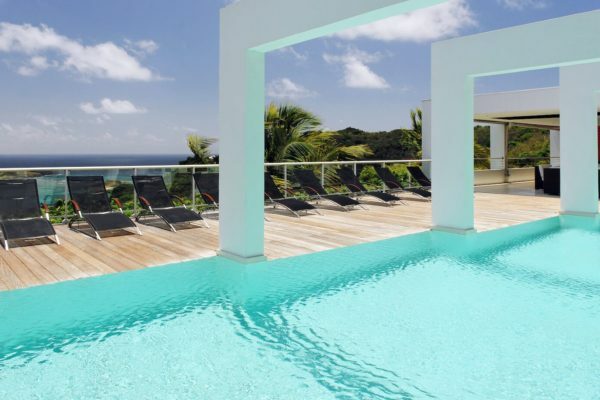 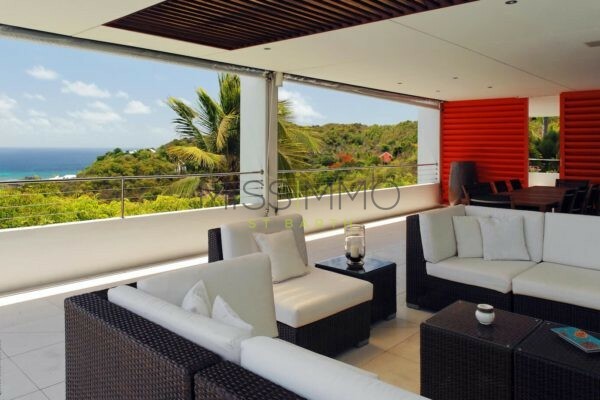 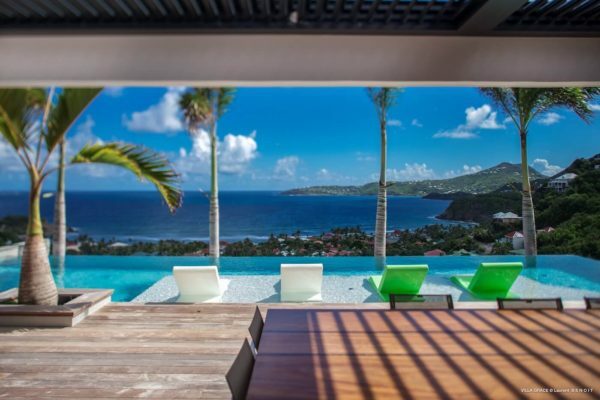 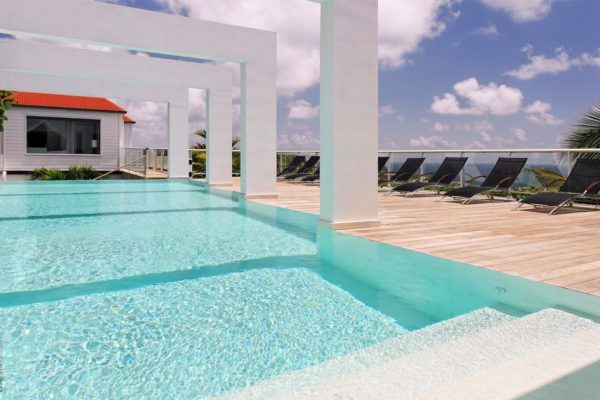 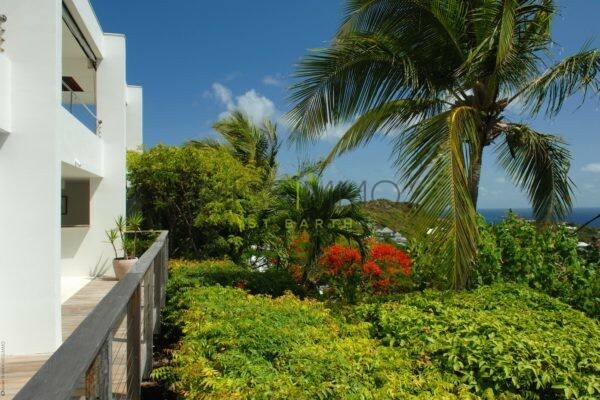 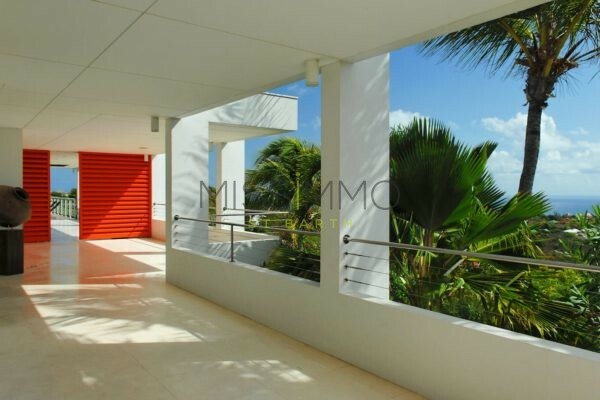 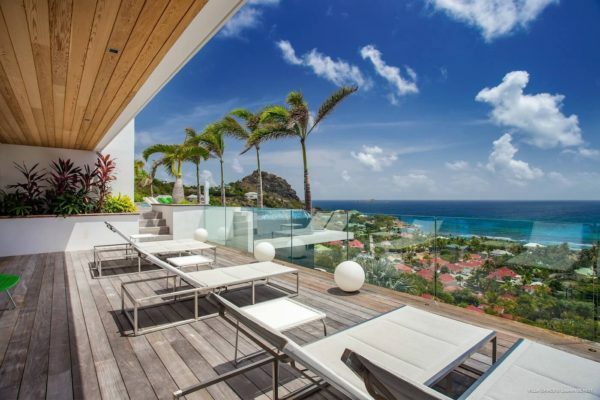 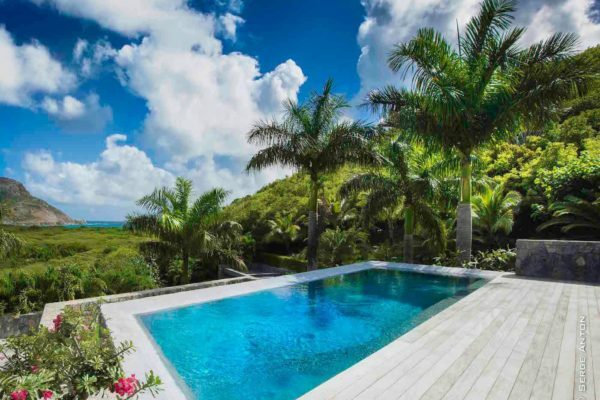 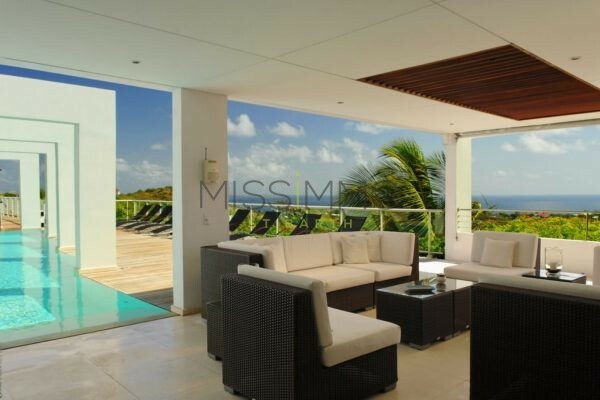 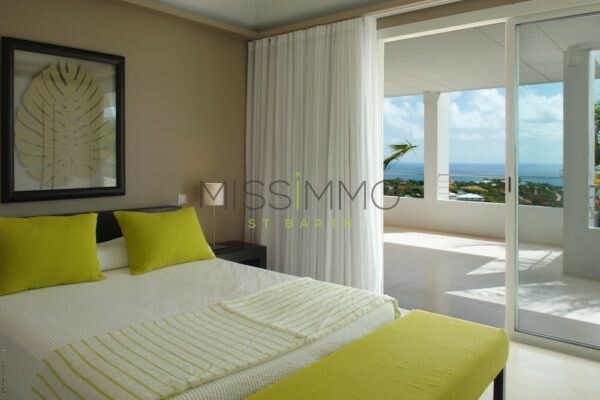 On the heights of Vitet, this luxury villa offers an unforgettable view of the ocean. 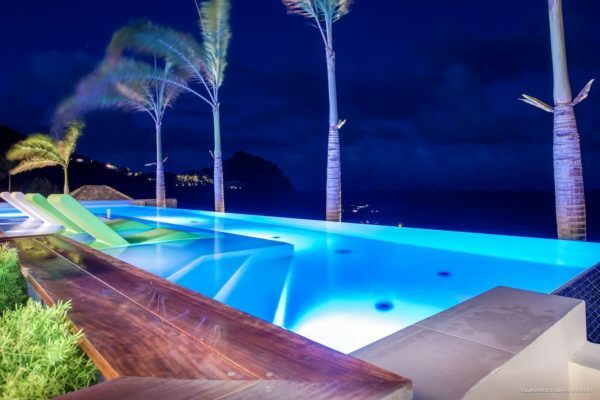 Its long swimming pool has square arches who offers a unique architectural design. 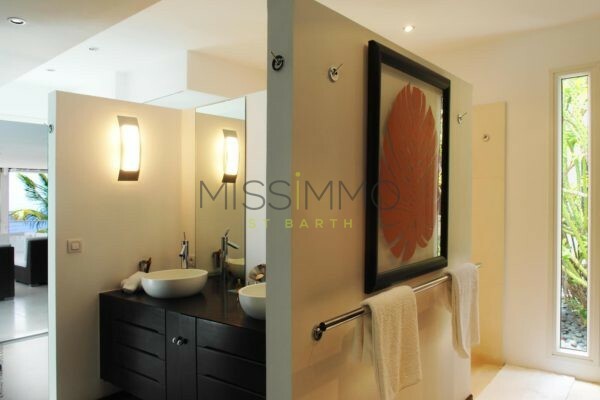 Due to its contemporary decoration and its bright colors, it allows a feeling of total well-being. 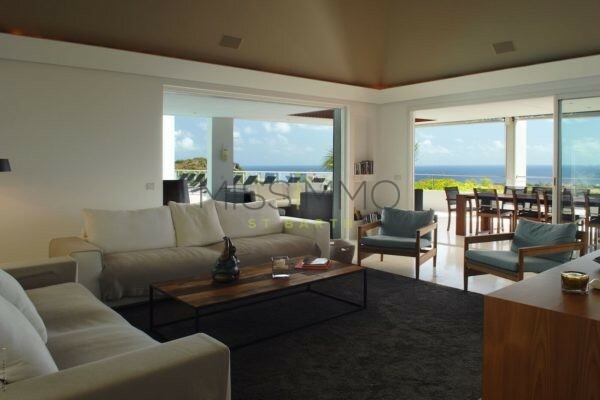 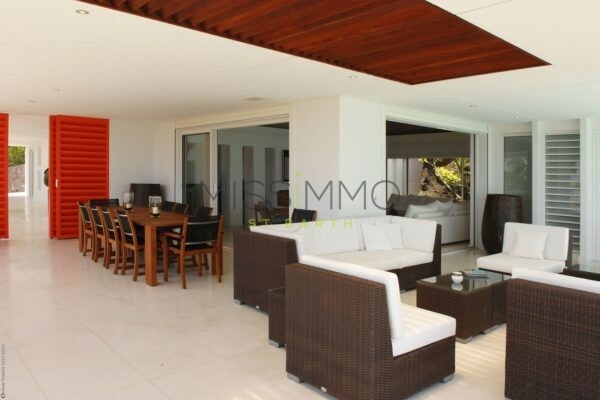 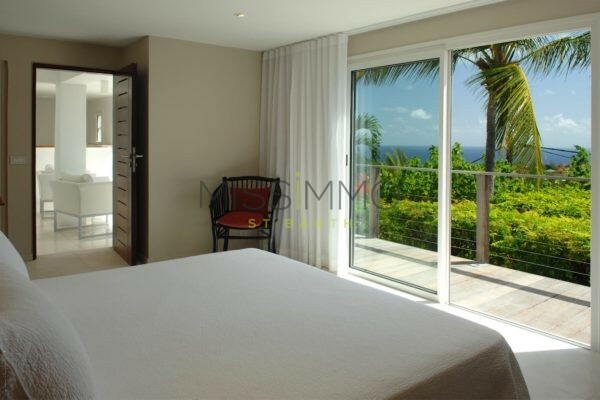 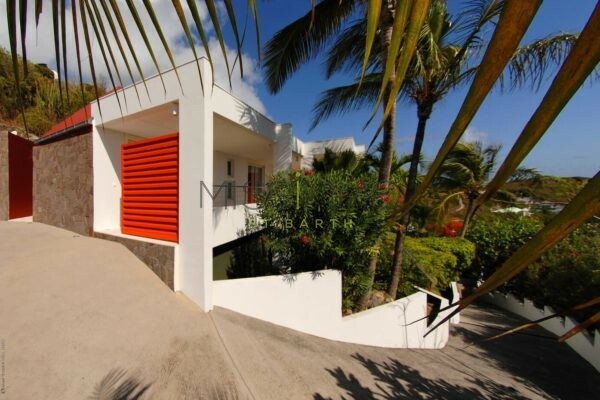 6 bedrooms are on both sides of the villa (5 bedrooms have sea view). 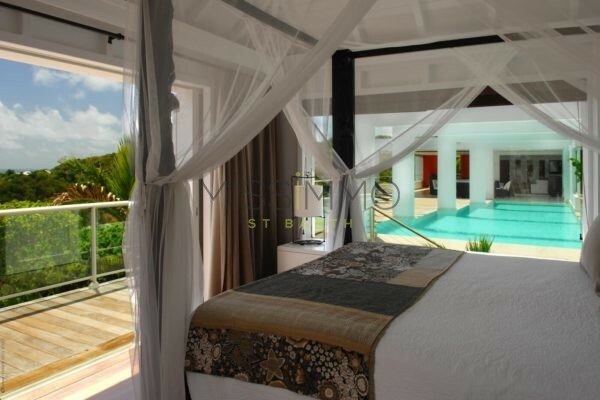 All have a King Size Bed as well as a private bathroom with shower. 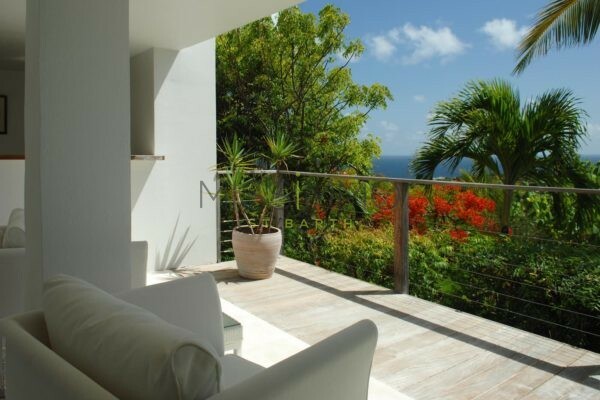 The living room opens onto a terrace bathed in sunlight. 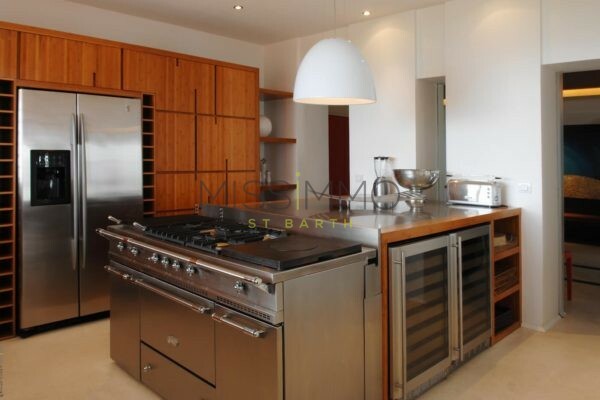 The professional kitchen is suitable for everyday use as well as “Haute Cuisine”, thanks to its Lacanche Côte d’Or cooking piano, equipped with a grill, plancha and wok burner. 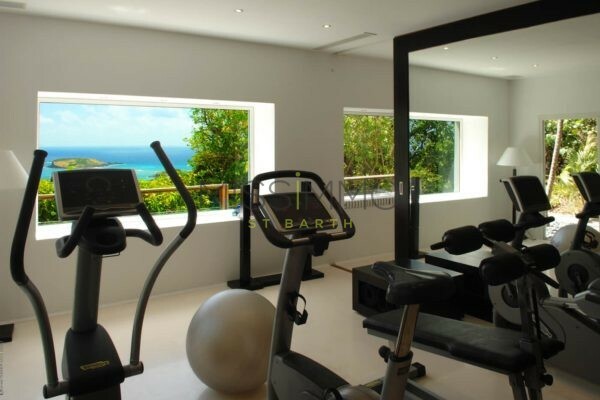 A gym offers a full range of technoGym machines. 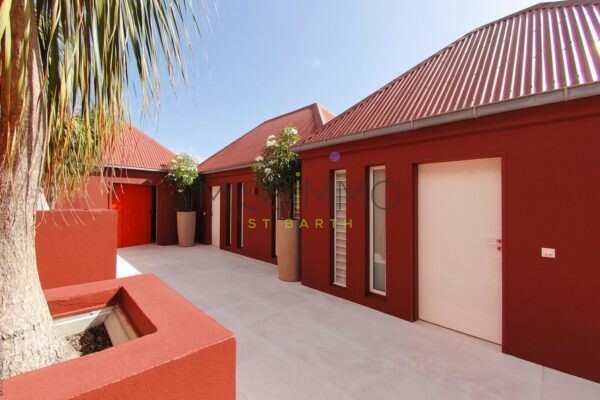 This very well equipped villa is just minutes away from the beach and shops of Lorient. 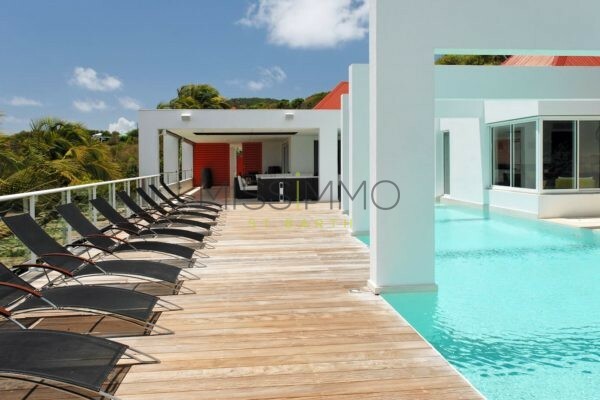 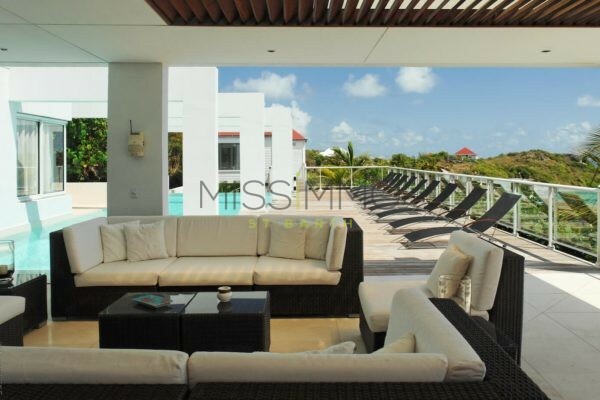 Heated pool (4x17m) – Lounge chairs – Dining table – Gas Barbecue – Outdoor sound system. 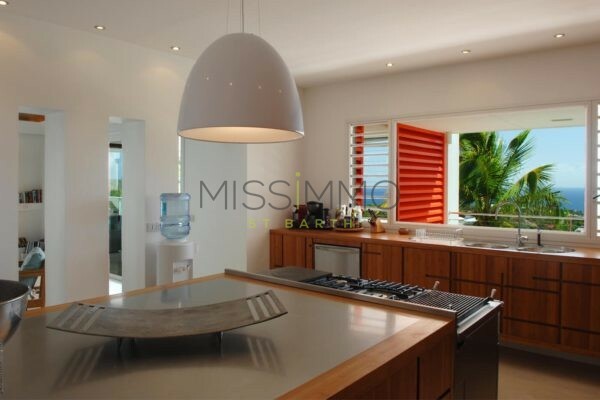 WiFi – TV – French & US Satellite – DVD & Blu Ray Player – Ipod Dock – Phone. 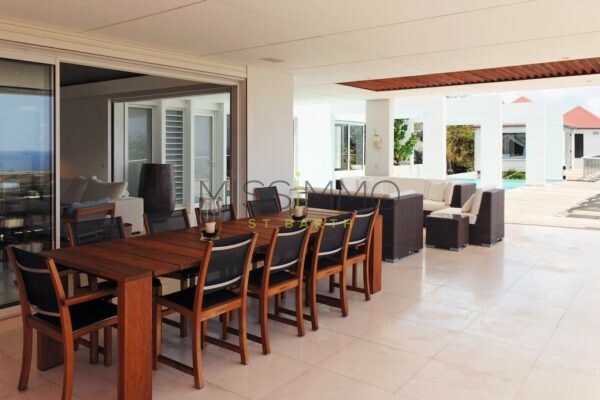 Equipped for 12 guests: Fridge – Freezer – Oven – Cooktop – Dishwasher – Microwave – Coffee maker (Regular & Espresso) – Kettle – Toaster – Ice maker – Wine storage. 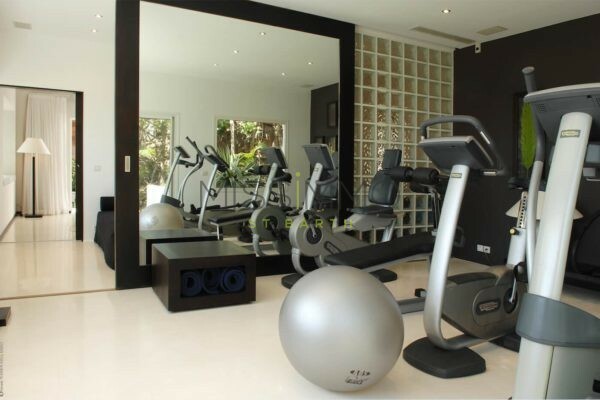 Air conditioning – Sound system – Ipod dock – Step machine – Stationary bike – Weights – Work out bench. 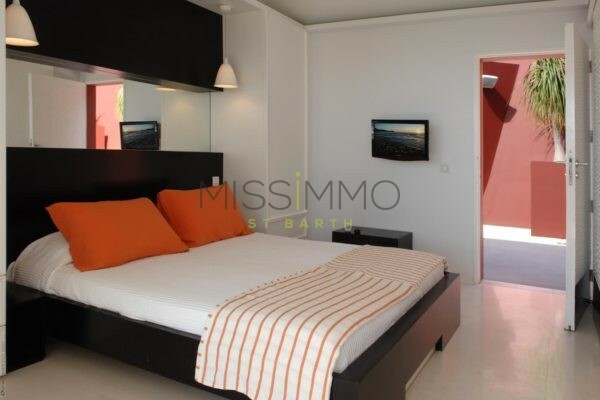 Air conditioning – Euro King Size Bed – TV – DVD Player – Dressing – Bathroom with shower. 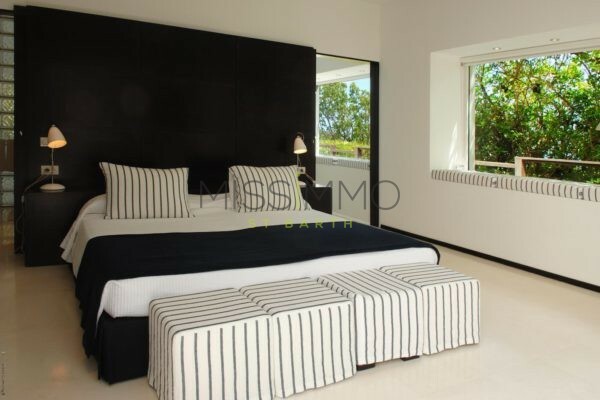 Air conditioning – Euro King Size Bed – TV – DVD Player – French & US Satellite – Safe – Dressing – Bathroom with shower. 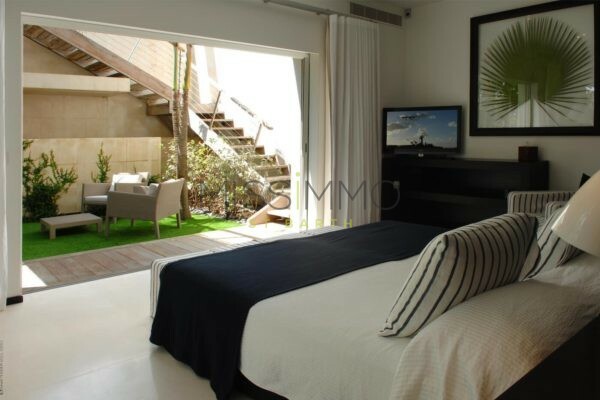 Air conditioning – Queen Size Bed – TV – DVD & Blu Ray Player – Phone – Ipod Dock – Bathroom with shower. 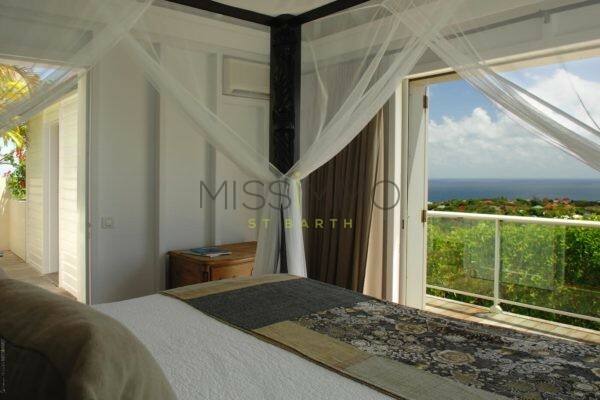 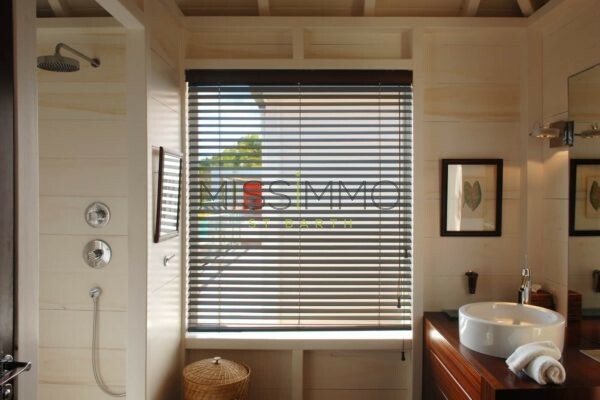 Air conditioning – Queen Size Bed – TV – DVD Player – Ipod Dock – Phone – Dressing – Bathroom with shower – Small kitchen.